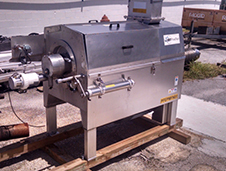 Products - Cook Manufacturing Group, Inc.
Be Supplied With Only The Best. Our products can keep your employees producing delicious foods and juices around the clock. 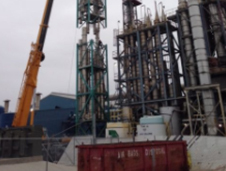 A key consideration when acquiring a large asset such as an evaporator is the long-term energy cost. 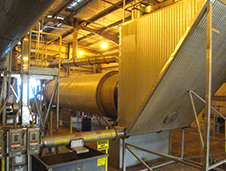 Utilizing the normally unused energy of a dryer’s exhaust, a Waste Heat Evaporator can provide an additional revenue-adding process to your operation. The Cook Rotary Dryer is used in the citrus, poultry, fish and other processing industries to efficiently dry product while protecting it from burning or charring. 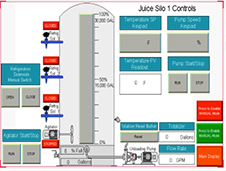 A deoiler may be the next enhancement your juice processing operation needs. Custom-designed units can be used to augment your processing operation in a variety of applications. The Cook stainless steel cooling tower provides not only superior performance, but durability unlike any other cooling tower currently available. We have a large inventory of used equipment and machinery. Essential oil (aroma) recovery systems can be designed for your process to capture this valuable by-product as an optional addition to a TASTE evaporator. 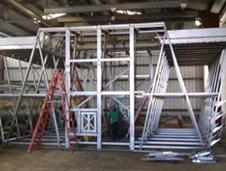 Cook Manufacturing can design, fabricate, and install many types of heat exchangers that your operation may require. 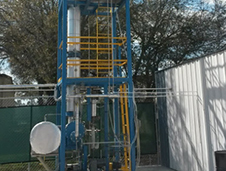 Using a variety of technologies, Cook Manufacturing Group has developed entirely in-house this process for oil collection. All design work is from our own Engineering Department.